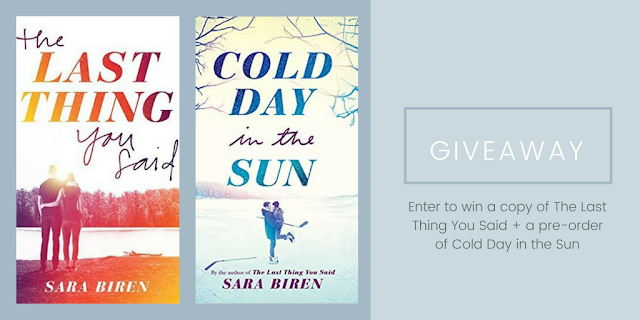 I am so excited & feel very honored to be hosting the cover reveal for Sara Biren's next novel, Cold Day in the Sun. Her debut novel, The Last Thing You Said, was one of my favorite reads of 2017 & I absolutely LOVE how these two different book covers compliment each other. 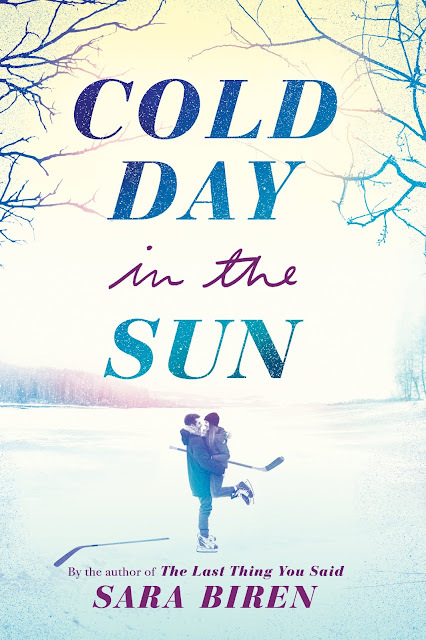 Cold Day in the Sun will be published on March 12, 2019, and you can see the beautiful cover right here! Author Sara Biren is here to answer a few questions about the novel and her writing (fun fact: Sara and I are both Foo Fighter fans!!). COLD DAY began as a very different book, a book inspired by a spring break trip I took to the Florida Keys during college. I had wanted to write something light-hearted and fun after the heaviness of THE LAST THING YOU SAID, but it turned out to be pretty heavy in its own way. That book, working title KEYS, has been completely rewritten (twice) and looks nothing like the original version except for the two main characters. The new story was inspired by my love for hockey and my years as the JV hockey team’s manager in high school. This was before the days of girls’ hockey, so managing was the closest I could get to the ice. I loved my time on the bench and made lifelong friends. I also wanted to write a story about a strong, talented girl playing on the boys’ team, the challenges she faces, and her journey to find her place in the world. • The music: Holland loves grunge and glam metal. I had so much fun putting together the playlists in the book. • The setting: COLD DAY takes place in Halcyon Lake, the same Minnesota resort town as THE LAST THING YOU SAID. This one is set during the winter, of course – hockey season. • The title, which came to me in a moment of inspiration during a Foo Fighters concert on August 22, 2015, as Taylor sang “Cold Day in the Sun.” I heard those lyrics and knew. 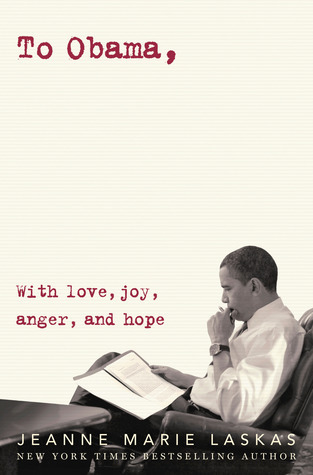 (Yes, I’ve been working on this book a very long time – I think I started it the summer of 2012 or 2013. It’s all a bit of a blur.) Like Holland, I love Dave Grohl and Foo Fighters so much, and, like Holland, Wasting Light is my favorite of their albums. • Holland’s hockey playing brothers. They give her crap but are always supportive. • The hockey scenes – the perfect excuse to go to local high school games and watch UMD Bulldogs and NHL games on TV. Our high school team went to the state tournament this year for the first time in school history – very exciting! Go Knights! 3. Who is your favorite hockey player? Steve Yzerman of the Detroit Red Wings. I had his rookie card taped up in my locker in junior high. My brother gave me a signed, framed Yzerman jersey for my wedding. My next YA is called IF YOU WERE HERE, my Minnesota autumn story: A rock star's son and the caretaker's daughter, a comeback and a scandal, facing the secrets of the past and learning to live in the present. I’m also working on a side project, an adult romance called I SAW YOU FIRST, which takes place in the mid-90s at an electronics store similar to the Best Buy of old (where I worked for many year). I’m officially on vacation for a week and a half. We’re headed first to northern Minnesota and then northern Wisconsin for some serious lake time, so I’ll have lots of reading time as well. I’m currently reading STARRY EYES by Jenn Bennett, which will be followed up with THE OTHER SIDE OF LOST by Jessi Kirby, THE KISS QUOTIENT by Helen Hoang, and YOU ARE A BADASS by Jen Sincero. Aries, ENFP, Assistant Scoutmaster (Boy Scouts), Troop Leader (Girl Scouts), content & social media manager (day job). Want to win Sara's debut novel THE LAST THING YOU SAID + a pre-order of COLD DAY IN THE SUN? Well, here's your chance! Enter the rafflecopter below. This contest is open to U.S. residents only. Please see my policies page for further contest rules. I love the cover! I was a fan of Biren's debut, and cannot wait to read more from her. This book sounds amazing! Also now I need to go read her other book! You always have the best book recommendations! I love this cover! It complements the first book's cover so well. Can't wait to read it!